Sit down with Ray Barbee & Thomas Campbell as they explain their efforts and dedication towards compiling the record, and art as part of the New Independent Trucks Pro Collection. 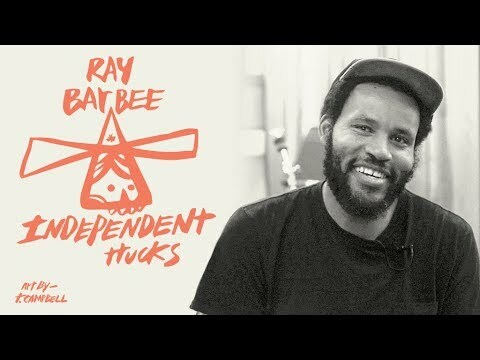 Get to your local Independent Truck Co. retailer for the Independent Trucks x Ray Barbee Collection. 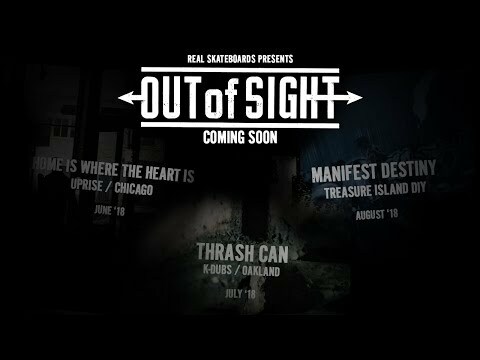 Out of Sight is a series of short films from Real Skateboards that highlights the efforts of a few who make skateboarding better for all. These short documentaries will begin to roll out this June. Stay tuned. Vans Park Series has proudly announced the official 2018 VPS Pro Tour roster, inviting the top-ranking men and women pros from the 2017 season along with new Tour Challengers and Wildcards. VPS Select Pros are pre-seeded directly into the semi-finals at every VPS Pro Tour qualifying event, to be met by exclusive qualifying Tour Challengers in pursuit of valuable points toward their final year end rankings and a chance to compete in the 2018 VPS World Championships. For the Women’s division, Vans Park Series expands the qualification series for the 2018 Women’s Pro Tour with events in Brazil, Sweden and United States, and announces open registration at each stop for all women’s competitors who are not currently on the VPS circuit. Prospective competitors are encouraged to enter here. The final roster of Select Pros, Challengers and Wildcards for the 2018 VPS Pro Tour is now available online at www.vansparkseries.com. The 2018 Vans Park Series Pro Tour will be broadcast live and for free on the ETN app, ETNlive.com, and vansparkseries.com. 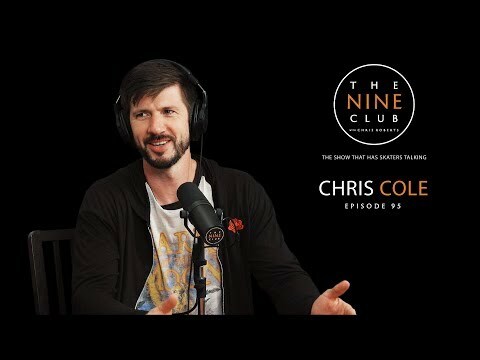 Chris Cole discusses growing up in Statesville North Carolina, going to Love Park for the first time, getting on World Industries, skating for Enjoi, leaving Enjoi for Zero, Circa, Fallen, DC, getting on Plan B, tricks down Wallenberg, winning SOTY twice, his new X-games Real Street part, and much more. 2018’s Vans Park Series is well under way. This past weekend Keegan Palmer and Poppy Starr Olsen have taken the Men’s and Women’s 2018 Oceanic Continental Championships titles at the Five Dock Skatepark in Sydney, Australia. They’ve both secured spots at the VPS World Championships in Shanghai, China this fall. Drop by the Vans park Series site for more highlights, Best trick results, photos and video recaps.